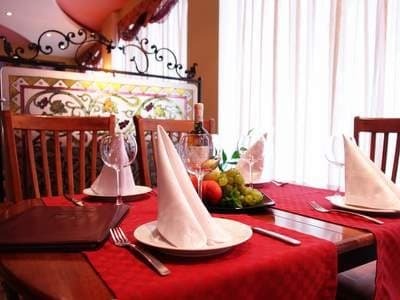 HOTEL COMPLEX "Lydia *** is located in the center of Feodosiya, in the oldest street of the town and is an ideal place for leisure and business. In 2001, the hotel has received the certificate of conformity of hotel services category *** (three stars). This four-storeyed building of 47 rooms comprises: 12 - Single rooms: 22 - one-room doubles, 10 - two bedroom doubles 2 - double bedrooms, 1 apartment. All rooms are equipped with phones, refrigerators, bathroom, air conditioning, television, throughout the hotel operates Wi-Fi. 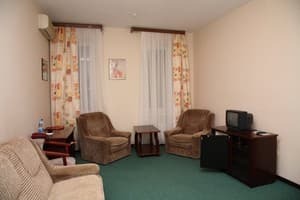 It offers: rooms, restaurant, sports bar, the only indoor pool, sauna, parking, currency exchange, conference - hall, sports - hall, car rental, Wi-Fi, security service, safety deposit box for valuables, an organization transfer. 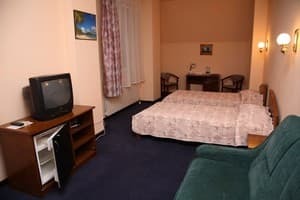 Description of the room: Each room has: extra bed (sofa, chair bed), air conditioner, refrigerator, cable television, telephone. Hot and cold water - 24 hours a day. Change of towels - every day. Room service - 24 hours a day. Single rooms - 12, they are divided into A and B category. The difference in the position of windows: A - view from the window to the street, B - view from the window into the yard. 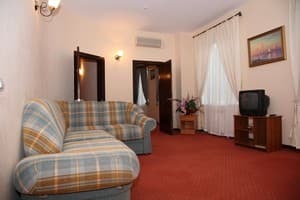 Description of the room: One-room double suites - 19, they are divided into A and B categories. The difference in the position of windows: A - view from the window to the street, B - view from the window into the yard. Each room has: extra bed (sofa, chair bed), air conditioner, refrigerator, cable television, telephone. Hot and cold water - 24 hours a day. Change of towels - every day. Room service - 24 hours a day. Available rooms with separate beds and double beds. 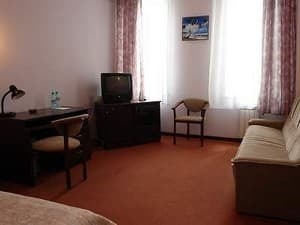 Description of the room: Three one-room double suites, each of which has an extra-bed (sofa, chair-bed), conditioner, refrigerator, cable television, telephone. Hot and cold running water is 24 hours a day. Room service is 24 hours a day. Daily towel change. The difference is in the windows` location: A - overlook the street; B - overlook the yard. 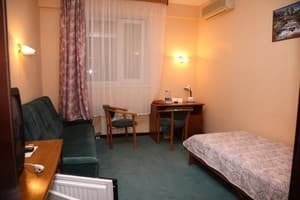 Description of the room: Two-room suite includes a living room, dressing room, bedroom and bathroom. Each room has: extra bed (sofa, chair bed), air conditioners in the bedroom and living room, refrigerator, cable television, telephone. Hot and cold water - 24 hours a day. Change of towels - every day. Room service - 24 hours a day. Description of the room: Three-room double suite includes a living room, two bedrooms and 2 bathrooms. Each room has: extra bed (sofa, chair bed), air conditioners in the bedroom and living room, refrigerator, cable television, telephone. Hot and cold water - 24 hours a day. Change of towels - every day. Room service - 24 hours a day. 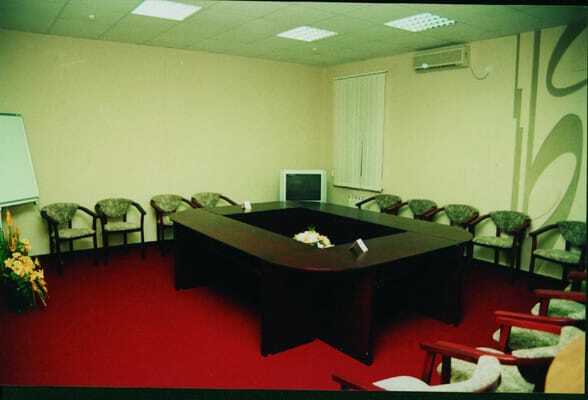 Description of the room: The only room of 122 square metres. comprising: living room, office, bedroom, recreation room, 3 terraces and 2 bathrooms (shower, bath). The room has 3 air-conditioners, refrigerator, cable television, telephone. В отеле чисто, тихо. В номере работающий кондиционер. Персонал вежливый. Завтраки хорошие. Есть, где поставить машину. В номере старая мебель. Матрас кровати совершенно раздолбанный, спать невозможно. Из мини-холодильника неприятный запах (хотя он визуально чистый). Крайне слабый и неустойчивый Wi-Fi. Все сотрудники очень доброжелательны,предупредительны и приятной внешности.Удобное время завтрака и отличная кухня(два последних дня было существенно хуже,наверное,были причины...)Замечательный бассейн. Маленький и тёмный номер(на фото в интернете это выглядело совсем иначе),не продумана эксплуатация душа:мягкая штора не удерживает воду , поэтому под ногами в туалете постоянно лужа воды. In each room, "Lydia" has a sofa or a chair, which is an additional place. Children under 2 - living with their parents are free of charge. Children from 2 to 12 - payment - 50% of the value of the fixed bed space. They are provided with breakfast. 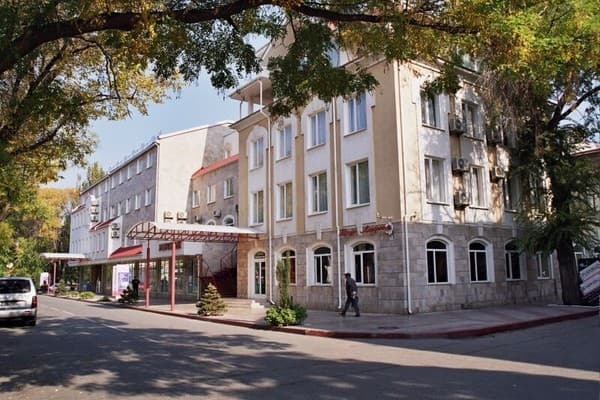 HOTEL COMPLEX "Lydia *** is located in the center of Feodosiya, in the oldest street of the town and is an ideal place for leisure and business. 1. 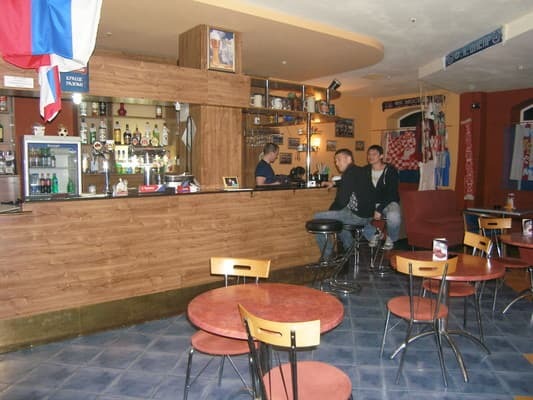 By train or by plane to Simferopol, then by taxi or shuttle (1-1,5 hour) to the town of Feodosia, the hotel "Lydia". 2. By train or by plane to Simferopol, then by bus (2,5 hours) to the bus station of Feodosiya, by bus to the center or take a taxi to the hotel "Lydia". 3. By train to the town of Feodosia, then walk to the hotel "Lydia" (200 meters).